Max Kaan-Professional Comedy Stage Hypnotist. Max Kaan is one of South Africa's most well known stage hypnotists. 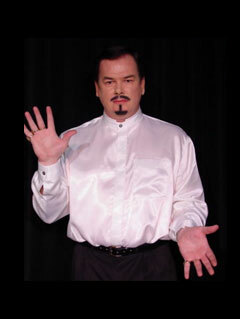 Max Kaan has been entertaining audiences with his amazing hypnosis show for over 2 decades. He had a hit TV series on SABC 3 called nowhereland, where he hypnotised the genral public and several celebrities. Max Kaan not only performs hypnosis shows, he also runs a hypnosis academy, where he trains his students to become hypnotists.